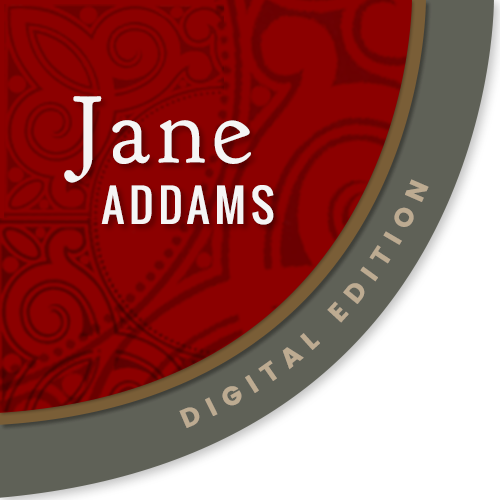 Subject is exactly "Addams, Jane, and labor movement"
Addams, et. 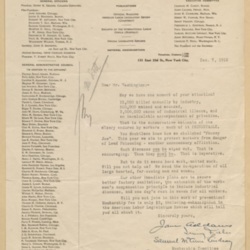 al, ask Washington to join the campaign American Association for Labor Legislation. 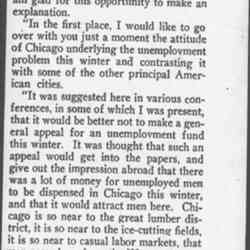 Hillman thanks Addams for her support of the clothing workers of Chicago, and goes on to detail their struggle. 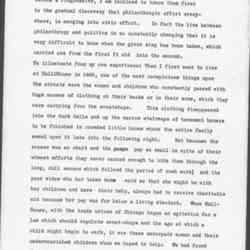 Addams spoke to the City Club about the unemployment crisis, explaining the role of Hull-House in providing space for public debate on the issue. 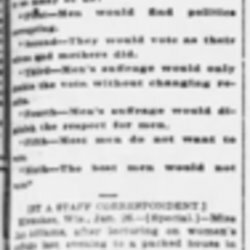 A newspaper report of Addams's speech to the Milwaukee branch of the Wisconsin Woman Suffrage Association, which uses humor to render the male arguments against woman suffrage absurd. 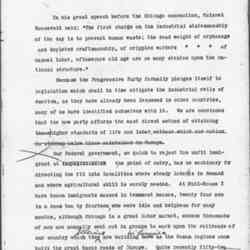 A version of this speech was later published in the Ladies' Home Journal. 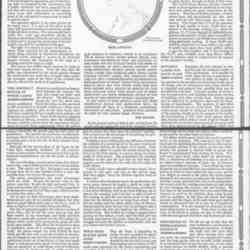 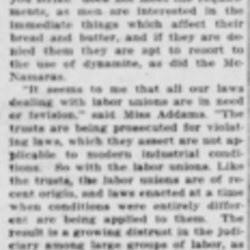 Newspaper report of an Addams' statement about the causes of violent labor actions being antiquated laws. 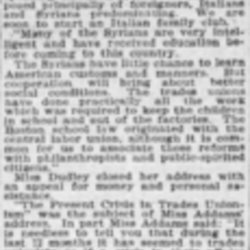 Addams describes the Progressive Party's pledge to support new immigrants by creating protection for industrial laborers. 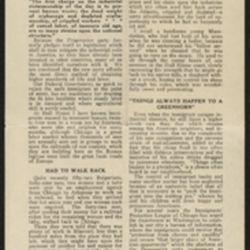 This is a flyer version of an article put out by the Progressive Party. 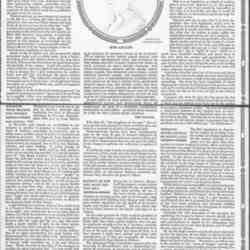 Addams argues for a minimum wage for female workers. 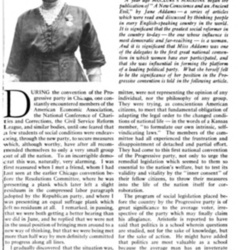 This is the third article of a monthly, year-long series on economic and social reform in America and women's role in affecting change. 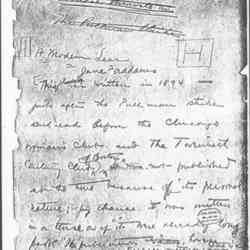 In 1894, Addams gave a speech to the Chicago Woman's Club and the Twentieth Century Club about the Pullman strike. 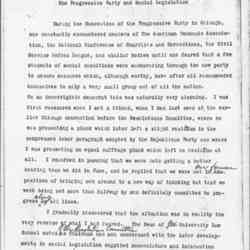 The speech was not published until 18 years later, in the November 1912 Survey. 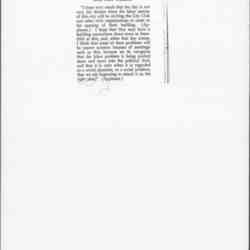 In it, she draws comparisons between the key players in the strike, particularly George Pullman, and Shakespeare's dysfunctional royal family. 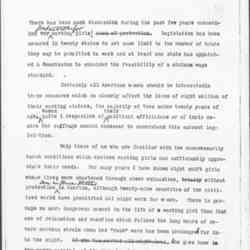 Addams' 1894 talk on the Pullman strike was only published in 1912 in the Survey. 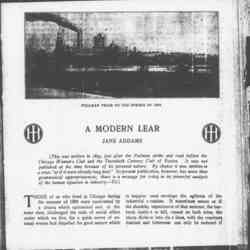 She analyzes the strike, drawing comparisons between George Pullman and his workers, and Shakespeare's King Lear and Cordelia. 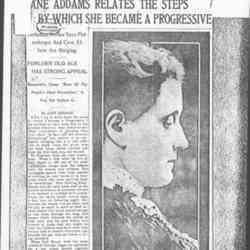 Addams describes her experiences at the Progressive Party Convention, discussing how items were added to its platform, particularly labor and military planks, and its appeal to labor and women. 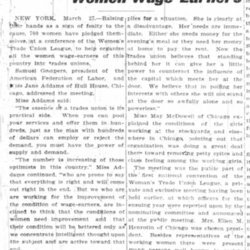 Addams discusses working conditions for women and advocates for a minimum wage for female workers. 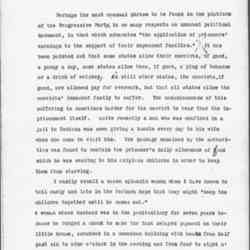 Addams describes the Progressive Party's pledge to support new immigrants by creating protection for industrial laborers. 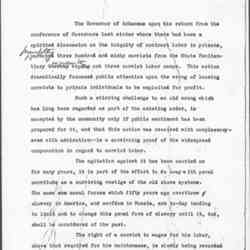 Addams argues for the implementation of a minimum wage for female workers. 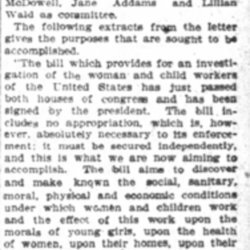 Addams describes the Progressive Party's pledge to support new immigrants by creating protection for industrial laborers. 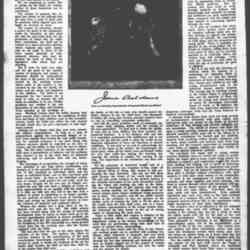 This is one of a series of articles she prepared for the Central Press Association as part of the Progressive Party campaign in 1912. 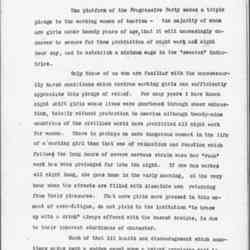 Addams lays out the Progressive Party's pledge to working women--the prohibition of night work, the institution of the eight-hour day, and a minimum wage in sweated industry. 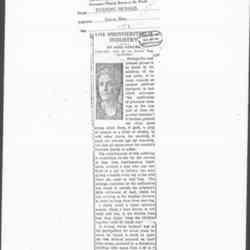 This is one of a series of articles she prepared for the Central Press Association for the Progressive Party campaign in 1912. 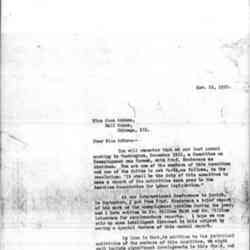 Andrews asks Addams, as a member of the Committee on Unemployment, to assist with a report for the American Association for Labor Legislation. 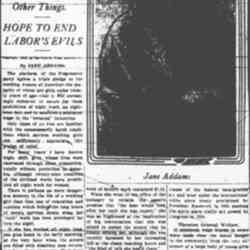 Newspaper account of Addams' comments after all-night efforts to settle a teamster's strike ended in failure. 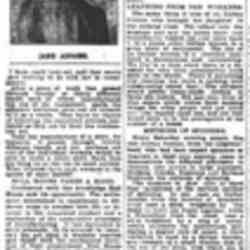 These quotes are part of a larger news article on the negotiations. 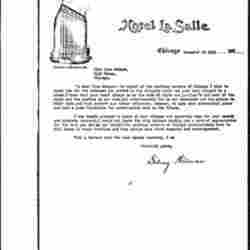 Addams' remarks at the January 13 City Club's Housewarming meeting on Labor called for bettering relations between labor unions and the City Club. 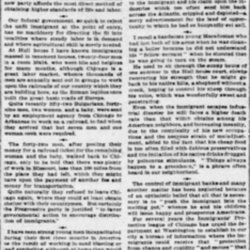 Addams gives arguments for woman's suffrage, stressing that working class need it to be able to control some aspects of their lives.